She's an icon, an inspiration and totally cute! And you know Mickey wouldn't have found his way around the world without her. Talking about Minnie Mouse, of course. Mickey's better half has been getting a larger part of the spotlight in recent years, which is making it easier to get gear with her bowed head on it. And that includes everything your girl will need for school. 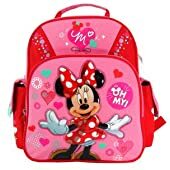 The most logical place to start is with a Minnie Mouse backpack, but she'll need more than that. 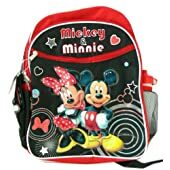 Or maybe you already have a perfectly fine backpack but want to fill it with Disney magic. 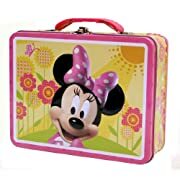 Consider a Minnie Mouse lunch box, pencils or notebooks. 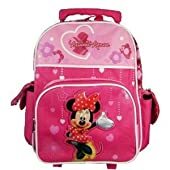 Minnie isn't just for little kids, although the backpack and lunch box styles definitely are. 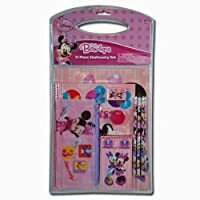 For a teenage Minnie fan, consider decals, stickers and magnets for decorating lockers along with stylish notebooks and journals. If you're looking for a Minnie Mouse backpack, you're in luck! There are so many options available as Minnie gets a larger spotlight. Be prepared for tons and tons of pink, however. Very few choices that aren't pink, which probably won't bother your little girl, actually. There are three main designs offered right now. At least designs offered in more than one style. There's Sweet Sugar, which combines pink and red with some tiny splashes of teal. It's the newest design, so it has the most styles available. Lucky brings in some purple with the hot pink and tons of polka dots with two different designs for the large and small backpacks. The Sweet Love designs go with two shades of pink with more emphasis on hearts than the others. More choices = more unique! When we think school, these days, we usually think backpack. 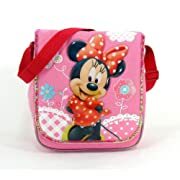 But there are several styles of Minnie bag that are perfectly appropriate. How functional they actually are depends on the age of your child, of course! 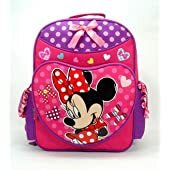 One of my favorites is the Minnie Mouse plush backpack, in part because it isn't pink, but also because ... well, who can resist carrying a full-sized Minnie around on their back. Minnie's plenty big enough, but it doesn't look as though there is much room in there for books, so something to consider in choosing this one. A popular option these days are rolling backpacks. Dual function depending on where you are. 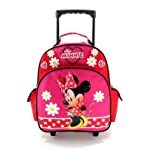 The three styles up above have rolling options, but there are many other Minnie Mouse rolling backpacks to choose from, like the Miss Minnie style to the left. My nieces are fans of messenger bags these days. Probably because the bag is as big as they are, but won't send them tipping backwards when loaded with books. 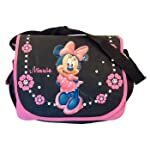 Check out the Minnie Mouse messenger bags available, keeping in mind that size is going to be relative here. 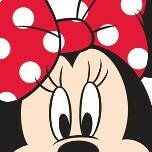 If you are really wanting some Minnie Mouse that isn't totally pink, consider adding a friend. 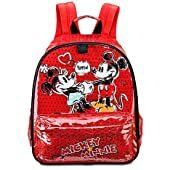 Backpack designs with Mickey and Minnie tend to have a bit more black and red to them, although I still think they're plenty girly. Look at all the hearts! 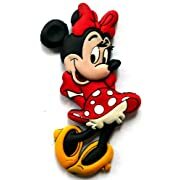 That Minnie Mouse Has Style! Now, you could just get plain pencils and notebooks and the like. Even do some color coordination with pink or red or polka dot or black. But where's the fun in that? Better to bring in just a little more Minnie Mouse to make sure you have enough! 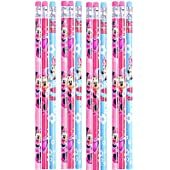 Easy enough to do with something like the Minnie Mouse Bow-tique School Supplies Set pictured here. But you can just stock up on your own pens, pencils and other supplies on your own. 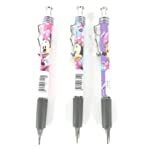 Below is another school supply set, which I liked because it comes with mechanical pencils. The others are just regular pencils (a set of 12 to last you at least a few months!) and colored pencils. It's the cool pink tube. 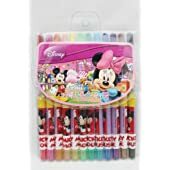 Now, I know you don't want just any Minnie Mouse pens. There are a lot of nice options - typical click pens and the like. But I found two I really liked that you might want to add to your pack. The boutique designs are nice with all their pink and purple colors, or go with the incredible feather pens. Talk about making some splash. 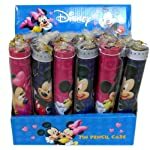 Oh, and don't forget to grab a Minnie Mouse pencil case to store all this stuff in. The tube style to the left here is a nice options, but there are several styles available, including one that has a flashing light. Lots of nice options for keeping all your school work and notes organized. 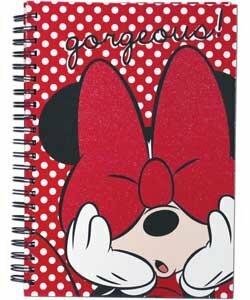 You can pick up a Minnie Mouse notebook in various styles and designs in spiral form. 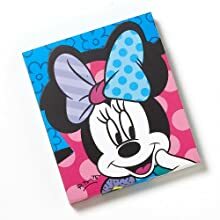 Or add some Minnie Mouse folders to keep up with the papers, calendars and other things teachers will be sending home. 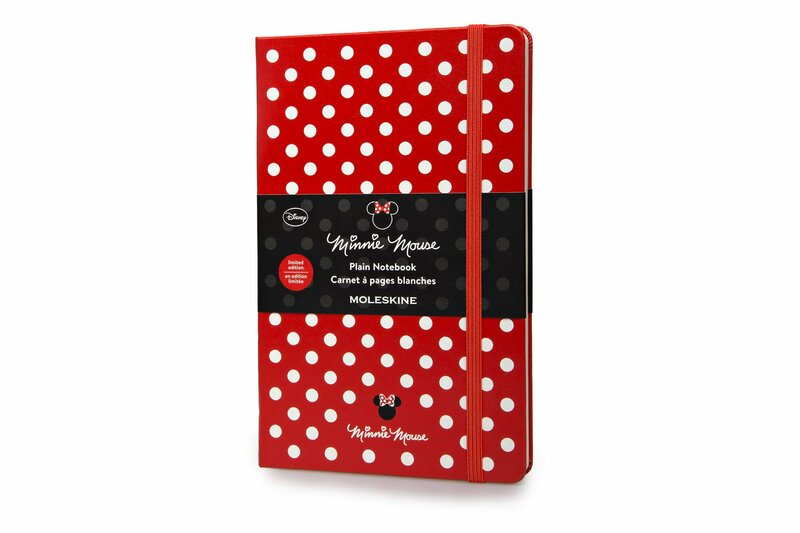 Make your own Minnie Mouse notebooks and folders using some of the stickers you'll find farther down the page. 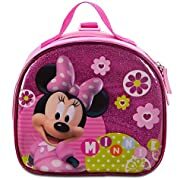 Pack a little Minnie magic into your child's day with their lunch. 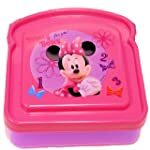 A cute Minnie Mouse lunch box is just the ticket and they come (again!) in a lot of shades of pink. Most designs are insulated and have room for a water bottle. 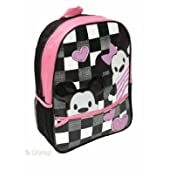 You can get lunch bags in the same major designs as the backpacks, but I picked out a few others here to showcase that I liked best. 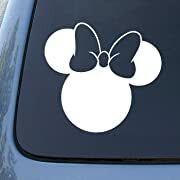 The first two designs use the Minnie Mouse bow-tique design. Already set with a lunch box? You could still add a little Minnie magic to lunch time. One other item I tracked down and love is the Minnie Mouse sandwich keeper. You can sometimes find this as part of a bigger set, but if you're in need of just one item to add to a current lunch set, this is the one to consider. One piece that would be a good investment is the funtainers from Thermos. 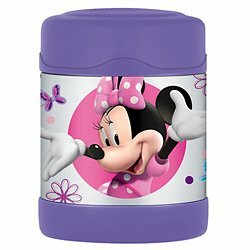 There's the food jar to the left here and several different styles of Minnie Mouse thermos, if you'd rather have that than a water bottle. Nice if you want to send hot food or drink for lunch. If she can do whatever she likes (as long as she gets it all off at the end of the year), there are tons of Minnie Mouse stickers she can choose from. If the rules won't let her do anything semi-permanent, then Minnie Mouse magnets might be a better choice since they won't damage anything. Same goes for the vinyl clings. 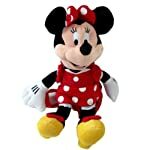 Will You Be Taking Minnie Mouse to School This Year?